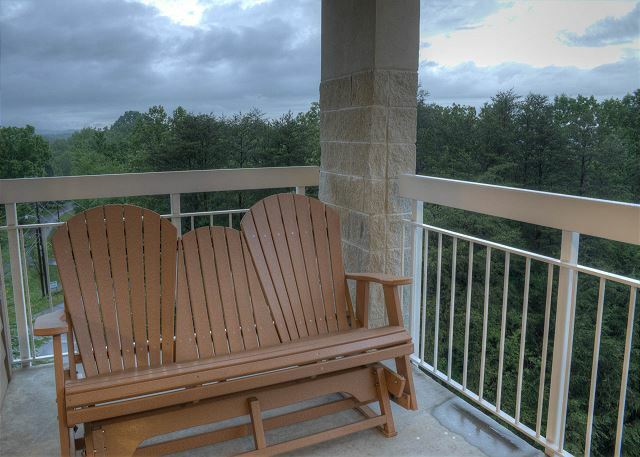 Whispering Pines Condo Unit 141 is your next Smoky Mountain getaway! You come to the mountains to get away from the grind of daily life and Whispering Pines Unit 141 is ready to pamper you! 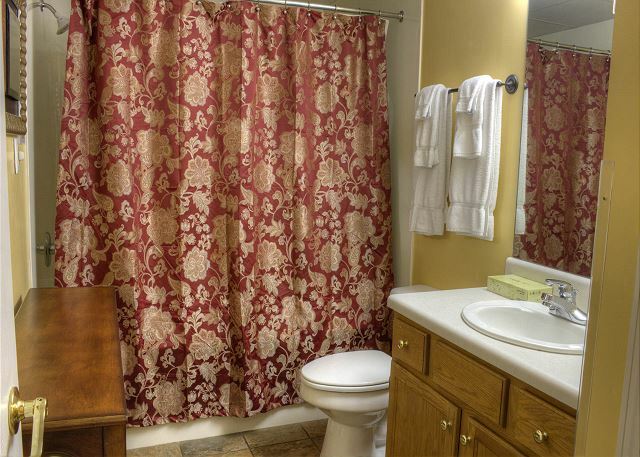 Enjoy a spacious condominium that offers a beautifully decorated king bedroom with a full bathroom. 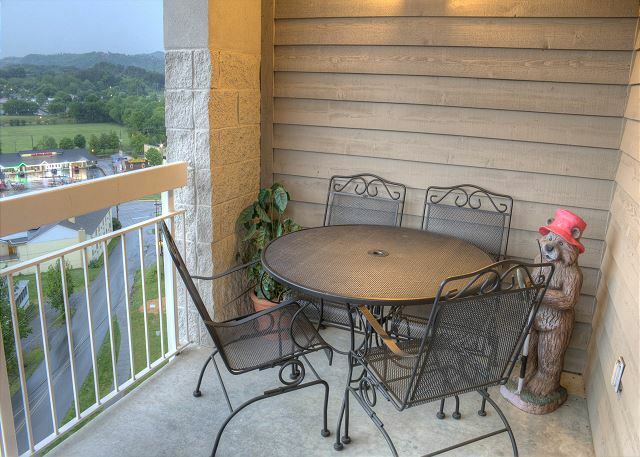 Our condo sits in the heart of Pigeon Forge and offers great views of the Pigeon Forge Parkway. 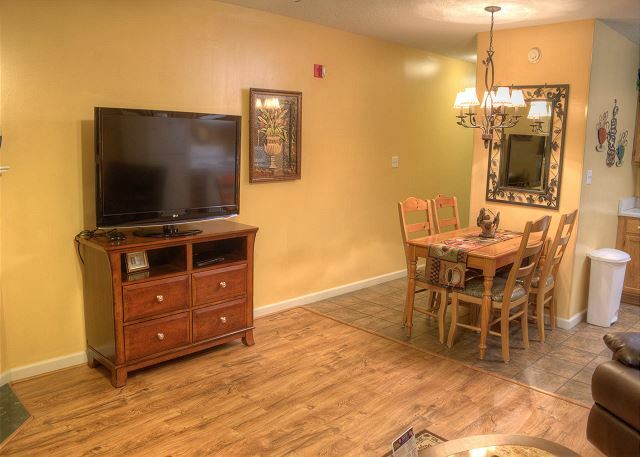 Enjoy our condo on your next Pigeon Forge Trip! Thank you so much for being a loyal guest at Whispering Pines Resort. We are so proud to know that you always have a great experience while staying with us. We look forward to your next stay. Thank you so much for staying with us at Whispering Pines! 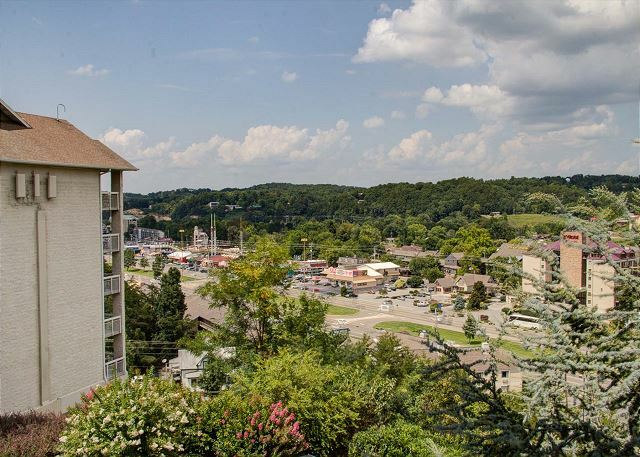 We're happy to hear that you enjoyed city view condo 141 during your Pigeon Forge vacation. We appreciate you and your recommendation and we welcome you to stay with us again the next time you're visiting our charming town! Wonderful Get Away. Great pricing, wonderful room, great location. We continue to rent from Whispering Pines year after year because of the great experience. Thank you for your great escape to a wonderful get away to Whispering Pines Condos in Pigeon Forge. We appreciate your patronage and your fantastic comments. We look forward to your continued great escapes to us. We are pleased and thankful that you had your best rental experience ever. We appreciate your perfect review and awesome comments and look forward to your return visits. Thank you for staying with us at Whispering Pines! We greatly appreciate your feedback. We are ecstatic that you had a wonderful vacation. We look forward to seeing you again soon! This property was in a very quite location on the fourth floor with a great private view from the balcony. Overall the unit was very comfortable, well stocked and tastefully decorated. The only disappointment was that the water pressure in the shower was very weak. However, the faucets did not seem to have any pressure issues. I have stayed at Whispering Pines many times over the years and have always been very pleased. I would not hesitate to stay here again, but would choose a different unit only because of the water pressure issue with the shower. Thank you so much for staying with us at Whispering Pines Resort. We are so pleased to hear that you enjoyed our quiet location and beautiful balcony view. We do apologize for the water pressure issue your encountered during your stay. Our maintenance department is looking in to this matter. We appreciate you being a long time loyal guest with us, it is always our pleasure to have you as our guest. We look forward to your next visit. It is a delight to us when we read reviews and find out that our guests enjoyed their stay at a great place and nice room. We thank you for your perfect review, also. 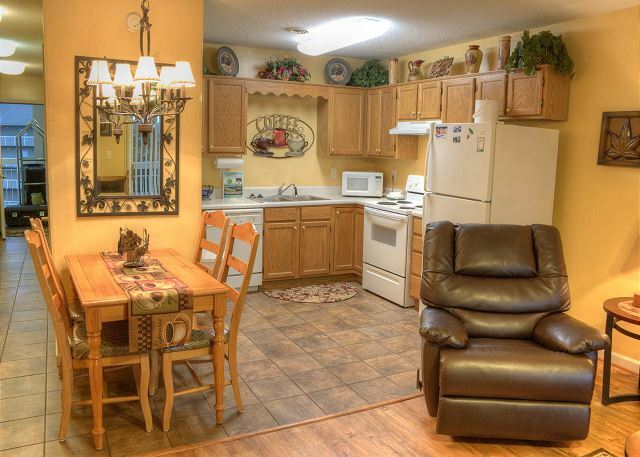 It would be our pleasure for you to visit us again at Whispering Pines Condos in Pigeon Forge. Condo was very nice. Beautiful view. We will be back. Thank you so much for staying with us at Whispering Pines. We appreciate your review and look forward to seeing you next time. It was a good condo, clean and had "most" of the things I needed to cook with. Would stay in it again. Thank you so much for choosing Whispering Pines for your lodging needs while visiting the Pigeon Forge area! We're so pleased to hear that you joined us for the car show and enjoyed your condo. We welcome you back to visit with us at any of our properties again soon! Oh my goodness, where do i begin. Spotless clean. Comfortable in every way. Close to attractiions, dining, mountains. Wonderful staff. We cant wait to go back. We will absolutely be re-visiting. This condo checked all the boxes. Loved the balcony and city view. Close to "The Island" and Dollywood. Loved the food at Bullfish and the Mill. Only praise from these guests. Wow! Thank you so much for staying with us at Whispering Pines and for taking the time to leave us this wonderful review! We're absolutely thrilled to hear that you had a perfect vacation in city view condo 141. We truly appreciate you and your kind comments regarding the condo, property and our staff, they mean so much to us. Nothing beats getting to stay right in the heart of beautiful Pigeon Forge and it sounds like that was your favorite part! Thank you for your recommendation and for choosing to stay at our property. We hope to see you again very soon! Our stay was the end of August 2018, clean, many ammenties, close to everything, bedroom a/c seemed not as cool as rest of condo notified mgmt. when we left. Thank you so much for staying with us at Whispering Pines! We greatly appreciate you making us aware of the issue. We bring the matter to the attention of our maintenance staff to resolve immediately. Otherwise, we're so glad to hear that you enjoyed the condo with its convenient location and amenities. We welcome you back to stay with us again soon! Thank you so much for staying with us at Whispering Pines! We greatly appreciate you and your patronage! We welcome you back to stay with us again soon! We have now stayed at Whispering Pines for our 3rd time, and have not been disappointed. Each unit has been clean and well-kept. Property is very nice and neat as well. Staff is helpful and friendly. We can see ourselves staying here for many years to come! Thank you so much for staying with us at Whispering Pines! We cannot express into words our appreciation of you and your loyal business. You are the reason why we love what we do and are what we are here for. We truly thank you for your kind words about our staff, property, and experience vacationing with us! We welcome you back very soon; we look forward to it for many years to come! We have stayed at Whispering Pines for several years. The condos are clean and very nice. The staff is so helpful and very courteous. We will continue to come back each year. Thank you so much for continuing to stay with us at Whispering Pines! 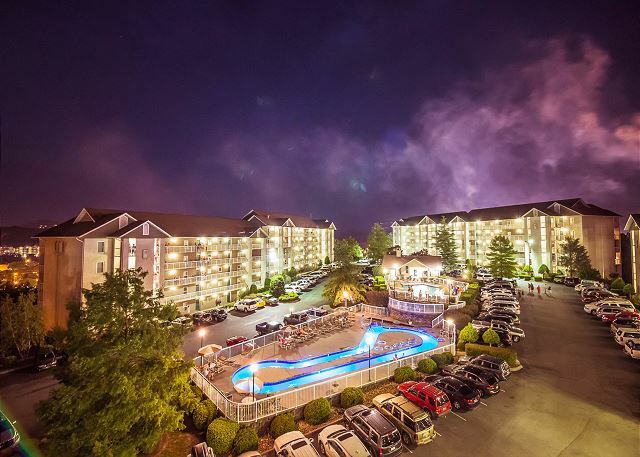 We are absolutely thrilled to hear that you've had another great vacation while here in Pigeon Forge. We appreciate you and the kind comments regarding our staff and the condos, they truly do mean the world to us. We are blessed to have an amazing staff that all take such great pride in their work. We can't wait to see you again the next time you're visiting our beautiful area! We enjoyed staying here! We’ve stayed here a few times and we will be back. Thank you so much for staying with us. We are so pleased to hear that you enjoyed your stay with us and have even been here a few times! We can't wait for your next great stay with us at Whispering Pines, we look forward to it. We certainly do appreciate our repeat guests. We are glad that you enjoy staying at Whispering Pines Condos in Pigeon Forge. Some of you feel like family coming for a visit. Thank you for your great review and comments. See you next trip. Clean, tasteful,and relaxing environment. Will stay here again. Very nice view. Thank you for spending your anniversary with us at Whispering Pines! We appreciate you spending such a special time with us, and hope you made such wonderful memories during your stay. We hope you choose to spend many more anniversaries with us, because we certainly look forward to it! Great! Very nice clean condo. Friendly people, everything was very comfortable, great view. We will come back. Thank you so much for staying with us at Whispering Pines! We are so glad you had a great time and that you enjoyed the wonderful city views that you see from your private balcony in condo 141. Your kind comments regarding our staff and the cleanliness of the condo mean the world to us - we are so lucky to have a group that all take such great pride in their work. We appreciate you and your recommendation and we hope you'll stay with us again the next time you're in Pigeon Forge! Thank you so much for staying with us at Whispering Pines! We are so glad to hear that you had a good time during your visit. 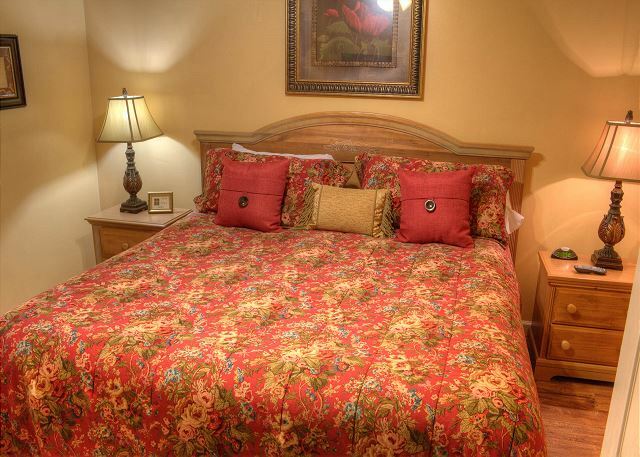 We hope you'll stay with us again the next time you're in Pigeon Forge! WP 141 provided a great location and accommodations. What you see on the website is what you get. Everything you need, great amount of room, clean, well stocked, and great views of the GSM. Staff was very helpful and available. Gym and pool for your use. Located in the middle of the strip which made it easy to get around. Will stay at Whispering Pines in the future. Great! Thank you for all the kind words and for spending time with us! We appreciate you. Glad you all enjoyed yourselves and we hope we can see you again soon. This was the second time we had stayed at Whispering Pines. We had a wonderful time again. The room was just perfect, clean beautifully decorated and quiet. the rooms are reasonably priced. and with the discounts it great. When we get to come back this is were we will stay. We love it. Great! Thank you so much for spending time with us and calling us your home away from home for a while! We are very happy you all had funand we look forward to seeing you again next time you are in town! Our family has stayed at Whispering Pines many times. We are always happy with the property location, layout, and amenities. Every unit we have stayed in has been clean and well maintained. We usually rent 2 or 3 bedroom units, but this time we only needed a 1 bedroom. Unit 141 was perfect for the 2 of us. This corner unit was quiet, had plenty of space, and all the comforts of home. The view of the city and glider on the deck was an added plus! Only concern I would pass along is the 14 day cancellation policy for Whispering Pines. Thank you so much for staying with us and for being such a loyal guest! We love unit 141, its great! We are happy you all had a good time staying with us and our 14-day cancellation policy is the most lienent in the area, many cabin companies require 30 or even 60 day cancellation notice! We look forward to seeing you again soon! Nice clean condo with a great view from balcony. The glider on the balcony was very relaxing. Will definitely return to this condo. We appreciate your visit and wonderful comments; glad you enjoyed the glider on the balcony. We look forward to your return. Pigeon Forge is a great place to be at any time and especially for New Year's celebration. We appreciate your visit; glad you had a great time and will visit us again. Awesome! We were very happy with the room, the property and overall experience. Wonderful. We are glad that you enjoyed everything about your vacation with us and will visit us again soon. Blessings to you and stay safe. Good place to stay our 4th time to stay at this place. Thank you for your perfect review and excellent comment. We look forward to the time when you have stayed with us so much that you can't remember how many times that you have stayed! We appreciate your patronage and look forward to your many return visits! Beautiful condo with a nice view. Quiet. Awesome! 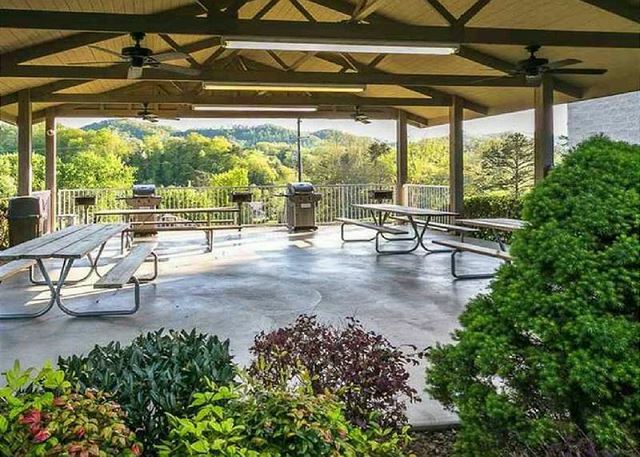 Whispering Pines Unit 141 is one of our favorite 1BR's! Great view of the Christmas Lights on the parkway and lovely decor! Thank you for staying with us and we hope we can see you again soon! This is our fourth stay with whispering pines and we love it here. 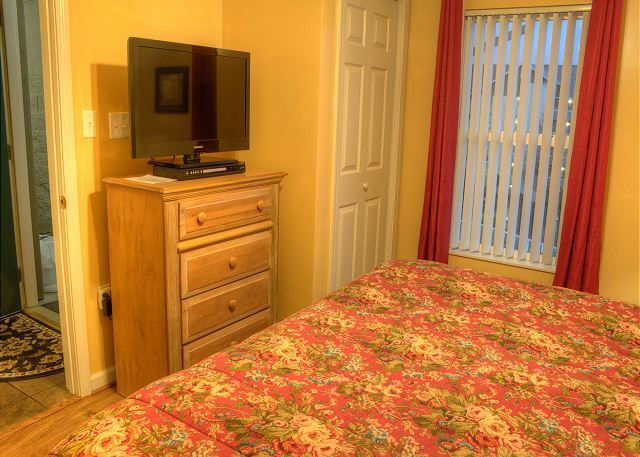 Comfort of home while close to all the attractions and shows. Your review and comments are outstanding. We are glad that you feel at home and continue to stay with us. See you next trip. We appreciate your review and your patronage. We are so pleased that you enjoyed your experience with us at Whispering Pines Resort. We welcome you back to stay with us again soon. We come to Pigeon Forge three to four times a year and we always stay at Whispering Pines. The condos are always clean and well mainttained and the staff is great! This unit was one of our favorites. 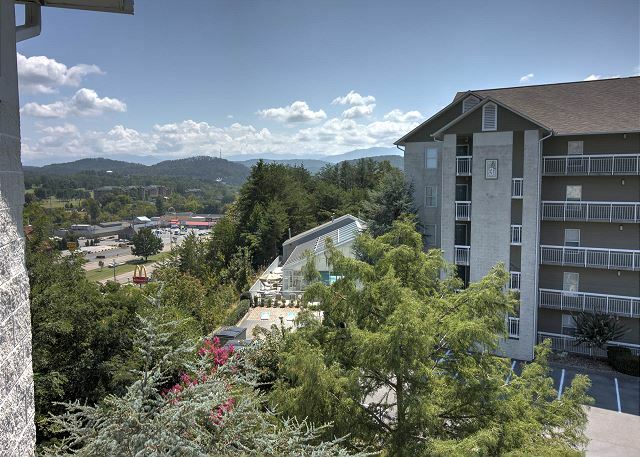 It has a great view of Pigeon Forge. The mattress was very comfortable too! I would definitely stay in the this unit again. From your comments and review, it appears that you a great vacation except for the fact that it was too short. We look forward to your return and hope you can stay longer next time. We have always enjoyed staying at Whispering Pines. We have been coming for many years. We Loved this rental. Nice and clean all the comforts of home. Thank you so much for being a long time guest with us at Whispering Pines. We are so glad that you enjoyed condo 141 and all the comforts of home that it offers. We look forward to seeing you again next visit. I truly enjoyed my stay at Whispering Pines 141 this Fall. Each staff member that I came into contact with was very courteous and pleasant - even the maintenance staff. My condo was clean, everything functioned properly, and it was beautifully decorated. For me, the location is perfect. 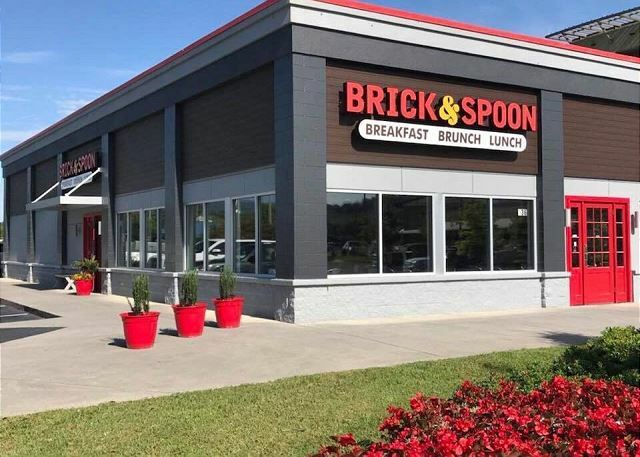 It is near the heart of Pigeon Forge yet you are just off of the actual Parkway so you don't have as much of the traffic noise as you would a place directly on the main road. However, from the balcony, you get a view of a portion of the Parkway as well as the surrounding mountains. In the Fall, you can enjoy both sunrise and sunset views. And, there is a glider on the balcony which I thoroughly enjoyed. Very relaxing after a long day of enjoying the "Forge" to just sit back, rock in the glider, watch the people and traffic on the Parkway, and enjoy the nighttime lights. Dollywood, many restaurants, and places to shop are either within walking distance or are only a few minutes (usually less than 10 minutes) away. I will definitely be back here when I return to Pigeon Forge for a visit and I highly recommend Whispering Pines - and especially condo 141 - to anyone else. Thank you so much for taking the time to tell us about your stay! Sounds like you enjoyed a lot of the attractions and restaurants that Pigeon Forge has to offer. We appreciate your comments regarding condo 141 and I know the owner of this condo will be very pleased to hear you enjoyed it so much, especially the balcony. We look forward to the next time you are in the area! Thank you for staying with at Whispering Pines. We are so happy to hear that you had a great experience with us. We welcome you back to stay with us again when visiting Pigeon Forge. Great location, very nice property great experience. Awesome-Sauce! Thank you for staying with us and come back soon! 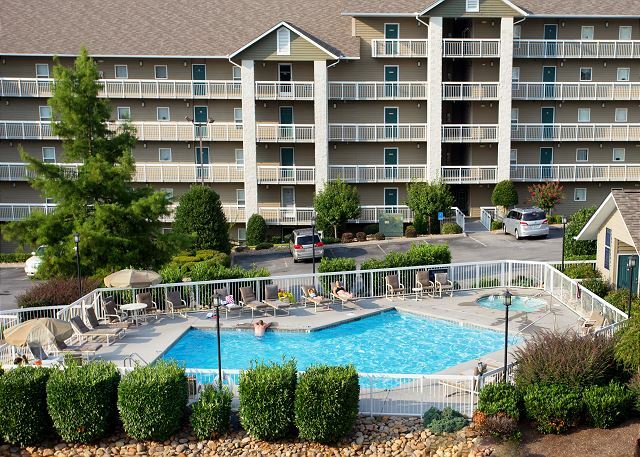 We are glad that you had a relaxing getaway with us at Whispering Pines Condos in Pigeon Forge, TN. Hope you will visit us again. Could of had a more comfortable couch and as a smoker I would think it would be more inviting to allow smoking under the overhang in the front of the buildings. It made my wife happy that I had to be 20 feet from the building but it was uncomfortable because of all the rain we had. Thank you so much for staying with us! We are glad you had a great time we hope you can come back and see us again soon, hopefully without the rain! Thank you for staying with us at Whispering Pines Resort. We are so excited to hear that you had a great stay in condo 141. We appreciate your wonderful feedback and invite you stay with us again when visiting the Pigeon Forge area. Location was convenient to everything. Whispering Pines Condos does have a perfect location for everything that Pigeon Forge has to offer. Thank you for your mini-vacation and hope you to see you again soon. Absolutely Awesome...Beautiful condo and love coming to Pigeon Forge. Have been coming for 20 yrs. Always stay AR Whispering Pines or Bear Crossing. Thank you so much! We appreciate you and thank you for being such a loyal guest! Glad you enjoyed your stay and 141 is a beautiful unit! We look forward to seeing you again soon! Great experience. Comfortable condo with all the comforts of home. Thank you for staying with us at Whispering Pines. We are so happy to hear that you enjoyed your stay in condo 141. We welcome you back to stay with us again soon. Thank you so much for all the kind words and we appreciate you! Glad you had a great time! We look forward to seeing you again soon! Thank you for staying with us at Whispering Pines Condos in Pigeon Forge, TN. We appreciate your excellent review and comment and hope that you will visit us again. We love staying at Whispering Pines and have booked condos here for the last 10 years. When we decided to take a weekend trip there was no question where we were going and where we were going to stay. WP141 was very nice and clean and comfortable. It was like being at home and loved the décor. We will stay in 141 again. Staff were very friendly and always are. We love Whispering Pines!!! Thank you so much for being a loyal guest with us at Whispering Pines. We are glad that you found condo 141 to be comfortable and just like home. Thank you for your wonderful review and kind comments regarding our staff. We appreciate you and look forward to your next visit. We spent two nights in the condo.The decor was lovely,the bed was very comfortable. We love pigeon forge and can't wait to return. Everything was very clean. The personnel were very professional and very helpful. Thank you so much for the feedback and kind words, we aim to please! Glad you enjoyed your time with us! Come back and see us again soon! Thank you for staying with us at Whispering Pines. We are very pleased to hear that you had a quiet and comfortable New Years getaway in condo 141. We appreciate you and look forward to seeing you again soon! no problems. just as expected. Thank you so much for choosing us! Hope we see you again next time you are in town! Thank you so much for your wonderful review and comments from your recent Whispering Pines stay. We appreciate you and love having you as part of Resort Properties family. We hope to see you again in 2017! We thoroughly enjoyed our stay in this condo. Loved the decor, very comfortable furniture including the bed, kitchen was well-equipped. Loved the view from the balcony as well. Always enjoy our time at Whispering Pines and this time was no exception. Friendly folks, safe, quiet surroundings, loved every minute of it! Thank you so much for all the kind words and being a loyal guest! We appreciate you and we love that you enjoyed your time with us! Come back soon! Excellent as always. Can not say enough great things about Whispering Pines. We greatly appreciate your excellent comments and review. We especially like, "Excellent as always." 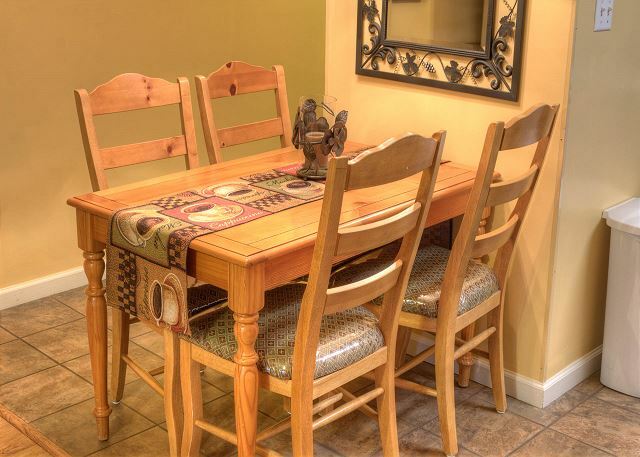 We look forward to your return visits to Whispering Pines Condos in Pigeon Forge, TN. Fantastic vacation. Our condo was clean. Well furnished. Close to everything in town. Loved the lazy river. You couldn't ask for a better home away from home. Plan to come again. Wow! Thank you so much for your wonderful review. We are so pleased that you enjoyed your experience with us and felt right at home. We appreciate you taking the time to submit this review. We hope to see you again soon. Thank you for staying with us at Whispering Pines. Thank you so much for your positive feedback. We are so pleased that you had a wonderful experience in condo 141. We appreciate your recommendations and look forward to your next visit! Great experience, staff friendly and helpful, location convenient, close to attractions and food. Kids loved pool and lazy river. Unit was clean and comfortable. Thank you! So glad you enjoyed your time with us, hope you can stay with us again soon! We had the best time at this condo during our short vacation in Pigeon Forge! It was close to so many activities, yet felt a little secluded as well. Perfect! We would certainly stay there again. Hoping to get back there soon! Thank you for a perfectly clean and comfortable stay! Thank you foe all the kind words! Come back soon, glad you had fun and enjoyed it! We loved our condo at Whispering Pines. It was clean and had a great view of the city and the fireworks every night (from Dollywood). We have stayed here several times but just not this condo. Always great staff and clean condos. Thank you for your wonderful review. We appreciate your kind comments. The Dollywood fireworks are an added bonus while staying with us. Thanks for being a loyal guest and we look forward to seeing you next time! Very enjoyable. Liked the city view from the balcony--could see Old Mill Restaurant and mountains in background. Tastefully decorated. Had everything we needed including a blender for smoothies. It was just what we needed. Thank you for staying with us at Whispering Pines. We are happy to hear that you enjoyed condo 141 and the wonderful view it has to offer. We appreciate your review and hope that you can visit again. Thank you for the kind words and for being a loyal guest! We look forward to you staying with us again soon! In overall the stay was pleasant, relaxing, and very inviting. Best features were location and quietness, eventhough we were 2-miles away into the crazyness of traffic and the main strip of Pigeon Forge. We will definitely be coming back for the Fall of 2016!!! Thank you for choosing Whispering Pines for your recent stay in Pigeon Forge. We are happy to hear that you enjoyed condo 141. We would love to have you as our guest again when your visiting the area. Very nice. Beautiful condo! Felt like home! How wonderful! So happy to hear that, we hope to see you again soon. Always enjoy staying at Whispering Pines. Always clean, quiet and very pleasant staff. Condos are kept updated, clean and always meets our needs. We have been and stayed in a 4 br and also have stayed in a 1 br. I recommend this place to everyone. Thank you for the kind words, we try very hard to make sure every guest has a great time and we are glad you did! Come back and see us! This was a wonderful place to stay. We enjoyed the condo and the hospitality of the employees. Definitely will do this again - in August. Thank you so much and we love that you enjoyed your stay with us and we look forward to seeing you again in August! Very happy with our stay ,have used several times and always enjoy. Thank you for staying with us during your recent visit to Pigeon Forge. We are pleased to hear that you had a great experience while staying with us. Thank you for your review and we hope to see you again. Great word, WONDERFUL, to describe your vacation with us at Whispering Pines Condos in Pigeon Forge, TN. Thank you for your excellent review. We look forward to your return visits. Awesome reviews are what we like to see. 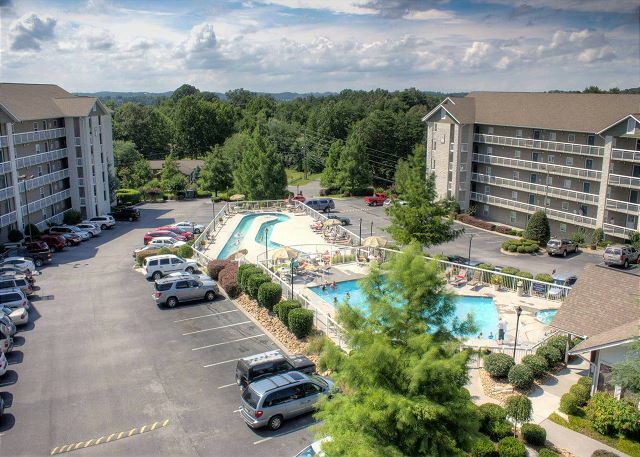 Thank you very much for your excellent review of unit 141 at Whispering Pines Condos in Pigeon Forge, TN. See you next visit. We enjoyed everything about the a condo! The view from the patio at night was magical. Comfortable is the best description for the property. Whether relaxing in the recliners, enjoying the view from the glider or sleeping...our comfort seemed to be the heartbeat of the owner's thoughts. Everything was well maintained, in good working order and clean. We took advantage of the amenities (show tickets and movie rentals) and we're pleased with the additional savings. The check-in process was warm and welcoming. Every part of out stay was sheer pleasure. We hope to return and would choose the same condo again. The view and accommodations were top notch! Perfect, perfect, perfect is what I hear you saying. We are thrilled that you had such a wonderful experience at Whispering Pines Condos in Pigeon Forge, TN. We look forward to your return visits. Very clean and well managed property! Thank you for staying with us at Whispering Pines. We appreciate your kind comments regarding the cleanliness of the condos and that our property is well managed. We appreciate your business and look forward to seeing you again. Description of unit was accurate. Really enjoyed the swing on the balcony. Thank you for your review. 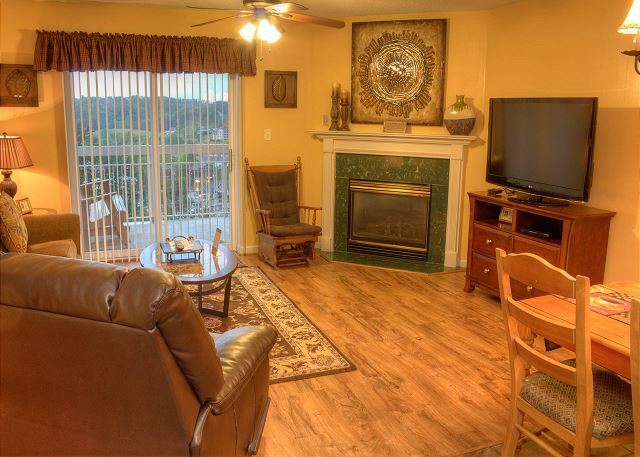 Glad you had an enjoyable vacation at Whispering Pines Condos unit 141 in Pigeon Forge, TN. The swing on the balcony will be waiting for YOU. employees are very professional and pleasant. Enjoy the rental its clean, quiet, and relaxing place. Love the view facing the main street. Would love to have check out at noon instead of 11am.... Love this place don't want to stay no other place. Next time I'll get on the bottom or second level. top level too high. Thank you so much for staying with us and for your kind words. We are so happy to hear that the employees were pleasant during your stay. Please let us know the condo or floor you would like to have during your stay and we will do our very best to accommodate you. Thank you for your review and we hope to see you again soon. We had a great time. The room was very clean and had everything we needed. I would definitely stay again. Thank you for choosing Whispering Pines for your resent stay. 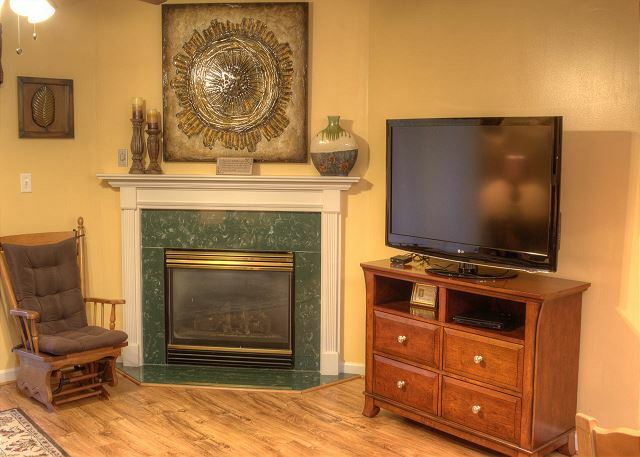 We are happy to hear that the condo had everything you needed for a great stay. We look forward to your next visit with us. Thank you for choosing Whispering Pines for your recent stay in the Pigeon Forge area. We appreciate your kind comments regarding you stay with us and hope to see you again soon. The one BR unit we were in was outstanding. Great view of the Parkway and mountains. The room was nicely appointed. We have stayed at whispering Pines many times and have never been disappointed. Thank you so much for continuing to stay with us! We appreciate you so very much. Glad to hear you enjoyed the one bedroom and enjoyed the view. We look forward to having you stay with us again! Stayed there during Spring Rod Run - loved the view - very comforatable - private - second time we have stayed in that same room - love it! Very clean, easy to get to, it's all good! Thank you for staying with us! We are pleased to hear you enjoyed all of what condo 141 at Whispering Pines has to offer! We look forward to your next visit. Enjoyed our stay. We do not spend much time in the room. However, when we were there is was always quite. The condo was clean and meet our needs Only negative is the elevator broke on Saturday am and needed a part so was able to be repaired before we left. We are in our 70's so walking upstairs Saturday evening and then bringing our luggage downstairs on Sunday morning was a bit of a job. They did say you could call for assistance but availability was limited and so you would have to be patient. Thank you for your feedback. We do apologize for the elevator inconvenience and tried to accommodate and assist everyone who was staying with us during that time. We would have been happy to assist you. We are pleased to hear you enjoyed your stay with us in condo 141 at Whispering Pines. We appreciate your patronage and look forward to your next visit! This is the second time I have stayed at the Whispering Pines Condos. Both units were very clean, great location, and wonderful amenities. I would recommend this place to anyone. Thank you so much for your wonderful review of your recent stay at Whispering Pines. We are so happy to know you enjoyed your stay and all the amenities we have to offer. We look forward to seeing you in 2015. We appreciate your business so much and we look forward to seeing you in the future! favorite place to stay anywhere. Thank you so much for your feedback. We are pleased to hear that you continue to enjoy your stay with us at Whispering Pines. Our staff works very hard to ensure that your stay is as comfortable and relaxing as possible. We look forward to seeing you next time! Always love coming to the mountains. It was a wonderful stay! Thank you for staying with us Diana, glad you enjoyed your trip to the Smokies! BEST PLACE IN PIGEON FORGE!!!!! I always try to stay at Whispering Pines when visiting Pigeon Forge. It's such a relaxing experience. Thank you so much for staying with us , we really appreciate you. We are pleased to know that you had a relaxing stay. We hope to see you again soon. This was a wonderful place to stay in Pigeon Forge. WE loved the lazy river, the pool, and the hot tub. Everything was so clean. The view from Room 141 was awesome. We are extremely pleased to hear that you enjoyed your stay at Whispering Pines. We love to hear that you enjoyed our amenities and the awesome views we have to offer. Thank you for staying with us and we hope to you again soon. Thank you for staying with us at Whispering Pines Resort. We are extremely happy to know that your condo was clean & comfortable for your stay. We hope to see you again real soon.